We’re in the home stretch of this generation! Hooray! The twins, Yuki and Toya, aged into teenagers early one morning before school. I missed them and they both felt dejected for a few hours. Waaah waaaaah, no one loves you, waaah. (Not true! I just get so distracted by the other six people living in your house. RELAX.) 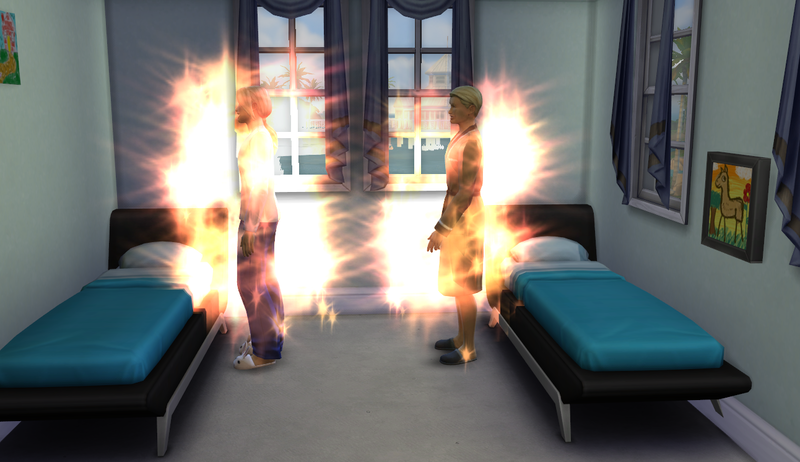 I was amused by the sheer amount of glowing that took place. I didn’t realize twins aged up almost EXACTLY at the same time. 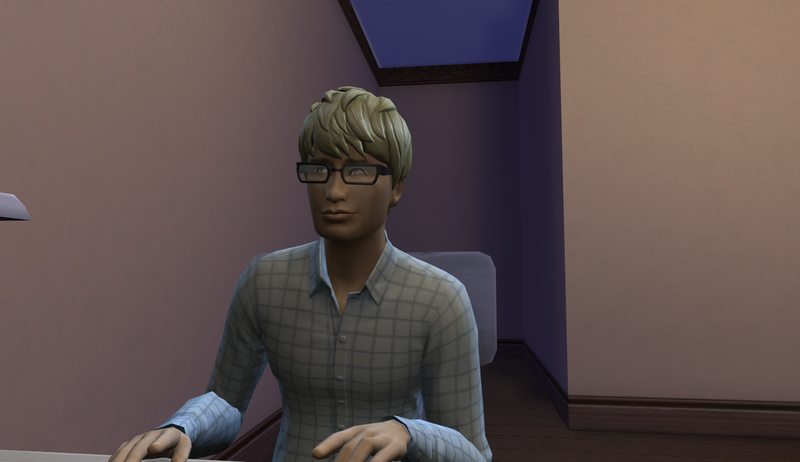 Yuki was given the same ponytail hairstyle as Haru so I went in to squash that and give him glasses again. I just… what? No. Definitely not. I went with a little bit of that look for some of the outfits but not that. 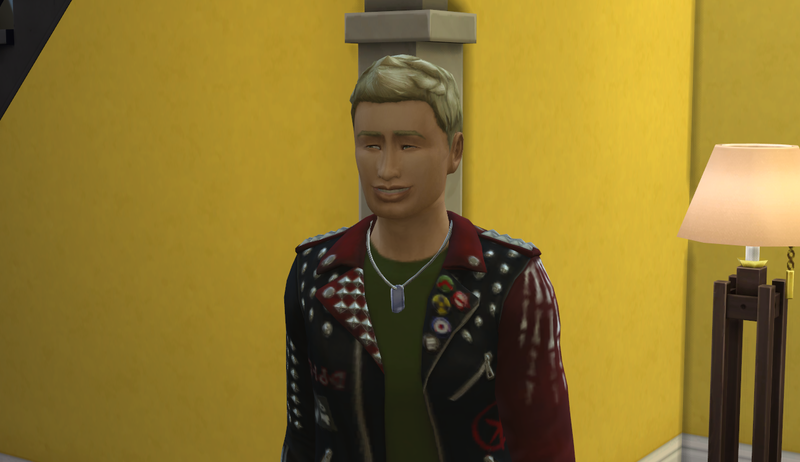 Also, you can see the small eye glitch here. I think I’m over it by this point. Whatever. I’m pretending it’s part of his great great great grandfather’s features. Works for me. Haru also aged into a young adult! Did I forget to mention? No? Great. Oh, I know why I’m confused. 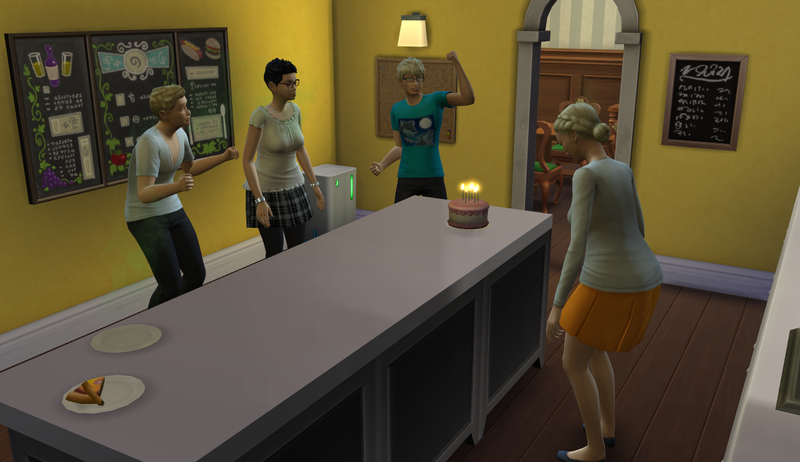 I had Maggie make him a cake and, seriously, just as he went towards the cake to blow out the candles, he aged up. 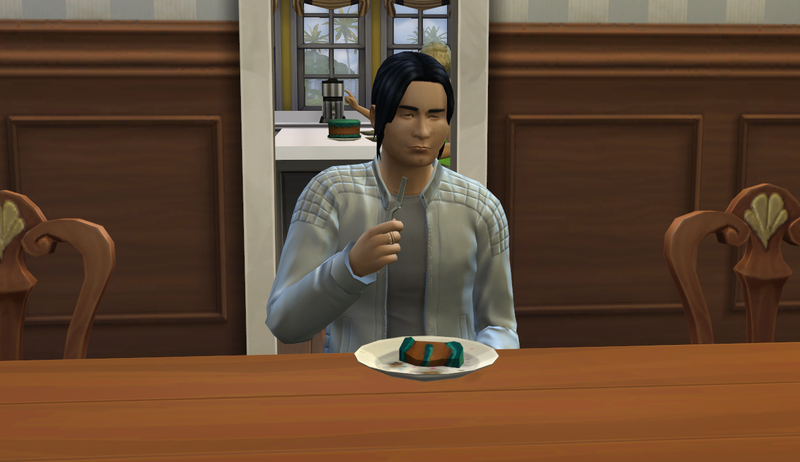 I was really confused because he had the sad moodlet and I couldn’t get him to take a piece. That’s when I noticed. BUMMER. Oh well, maybe he’s just destined for moodiness. …but not for long! I put him on the prowl and he met a lovely lady whose name escapes me. They hit it off right away. They got to work right away. Thankfully I was able to catch Sakura before she aged up and she turned out OK! 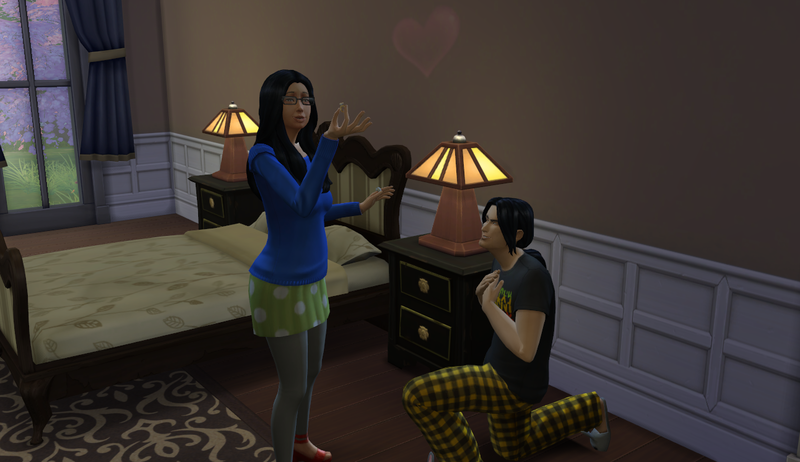 Her boyfriend, Avery, was still around so she invited him over and they made quick work of their relationship. She moved out shortly after (hopefully with a bun in the oven, also). Yeah, she’s smelly. Deal with it. Love waits for nothing! The next chapter features Ryu’s upcoming death, dun dun dunnnnn! 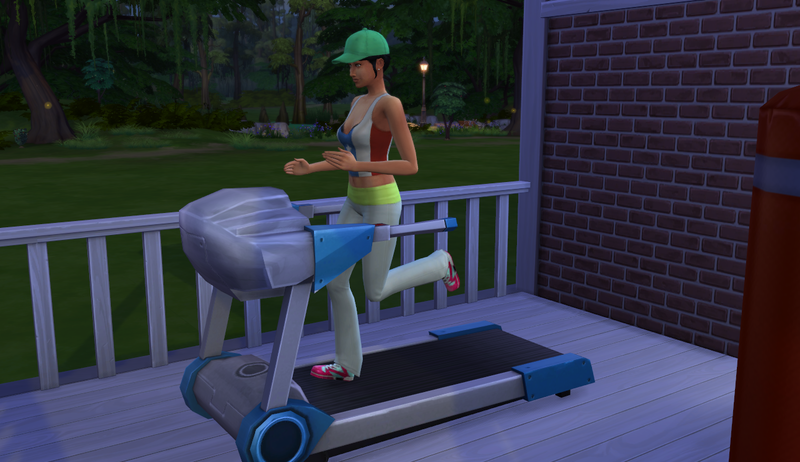 ← Chapter 22: House Upgrade! Of COURSE! I had a listen for nostalgia’s sake, hahaha!